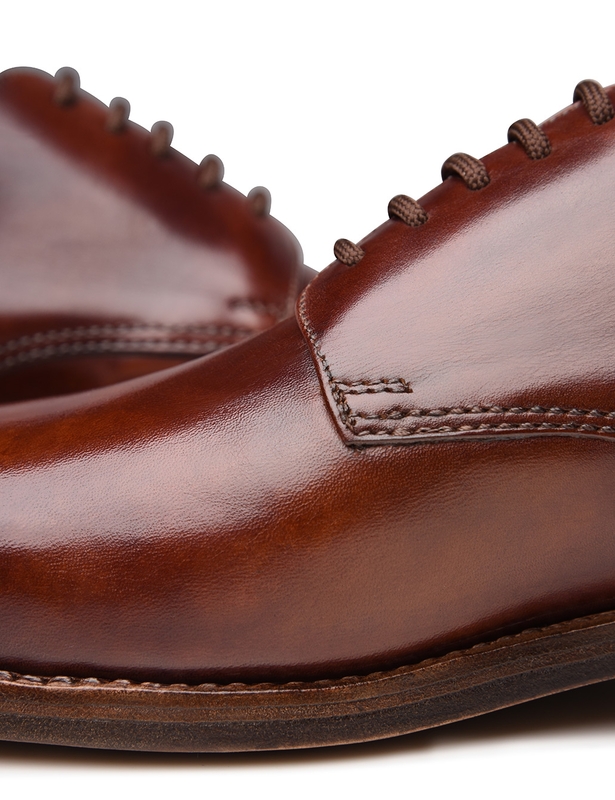 Luzern Last – Comfortable Width G An elegant last based on the English last. 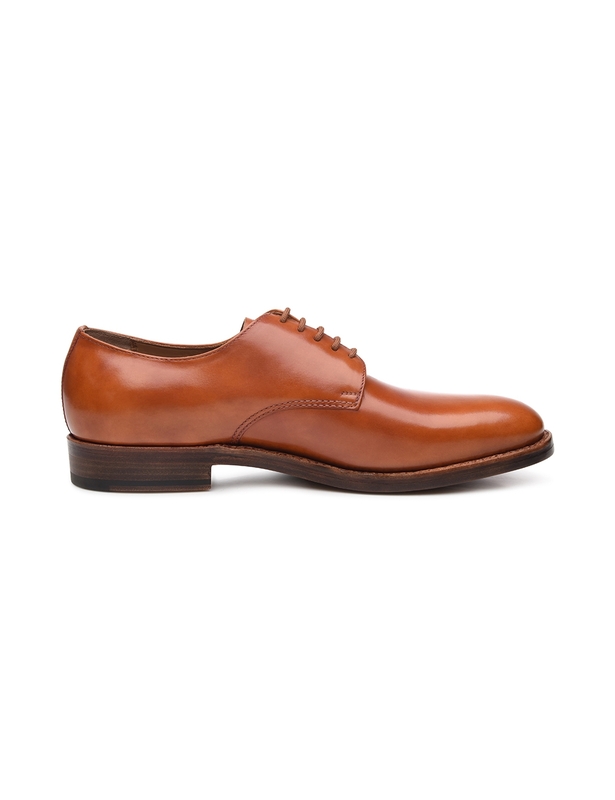 Distinguished by its outstretched form and pointed toe. 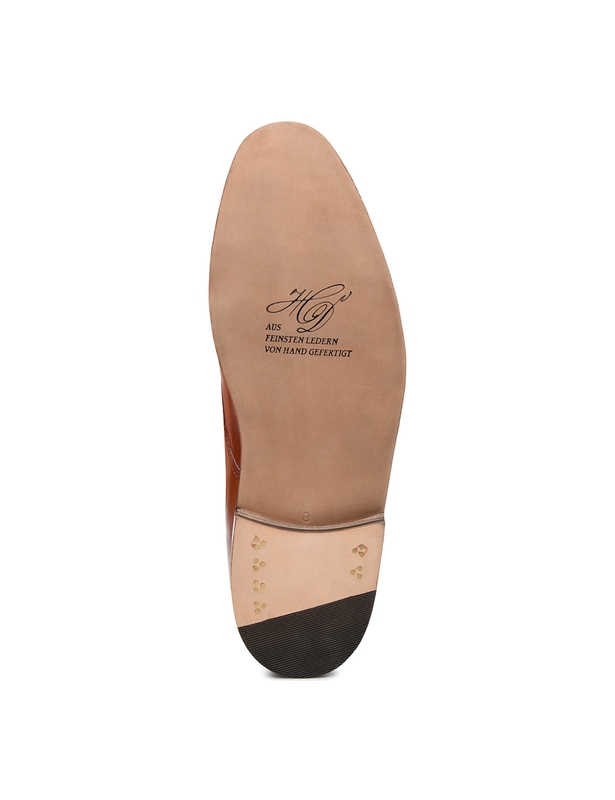 Double Sole with Flexible Outsole A thin leather midsole ensures a high level of flexibility. 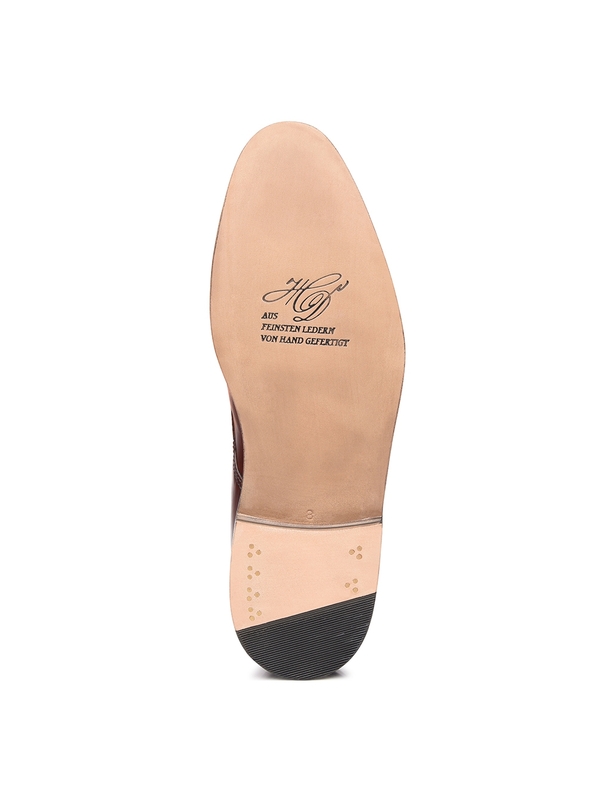 An additional, highly durable leather outsole from the Trier-based Rendenbach tannery elevates comfort. 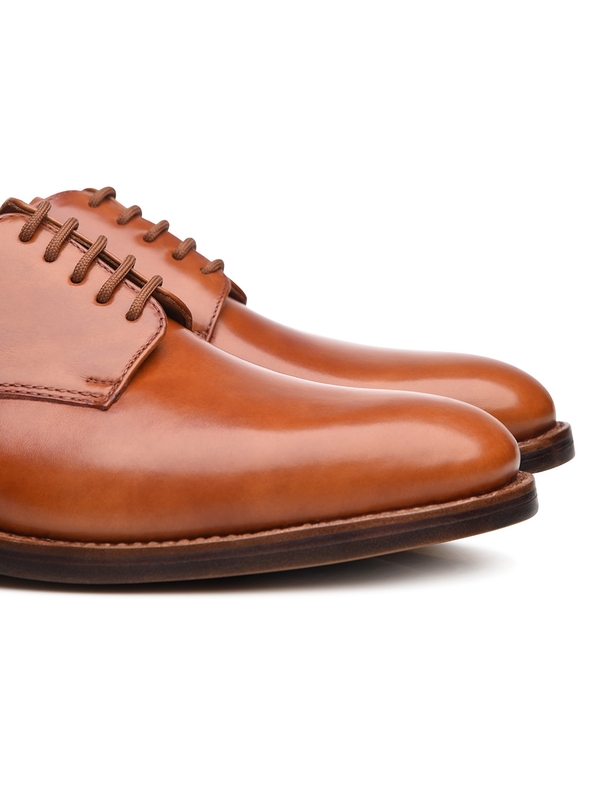 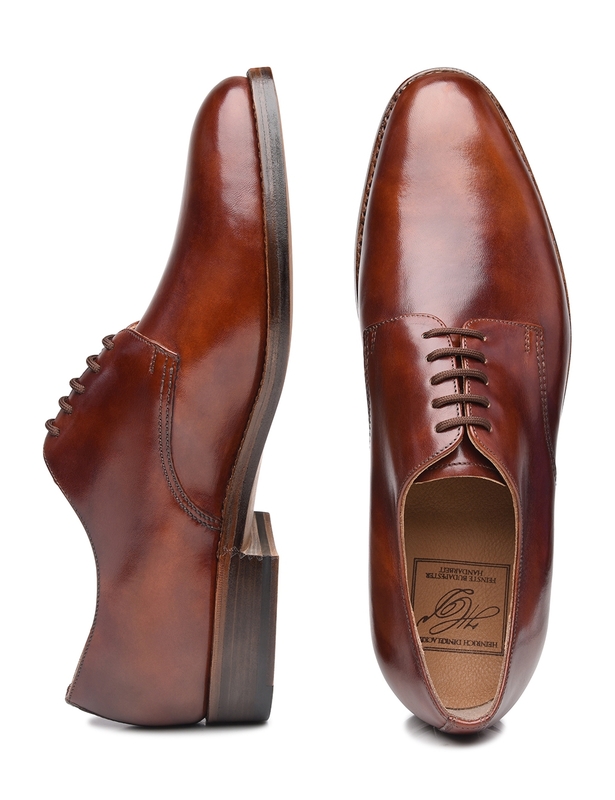 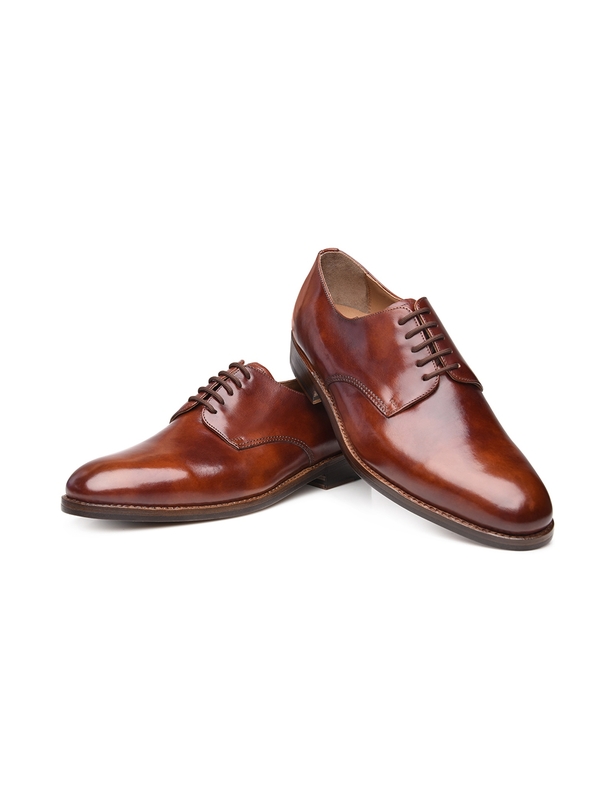 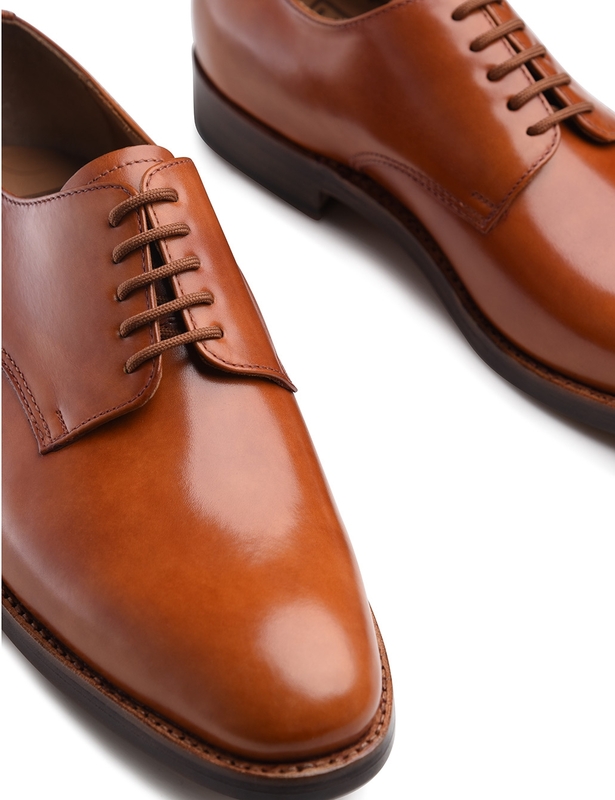 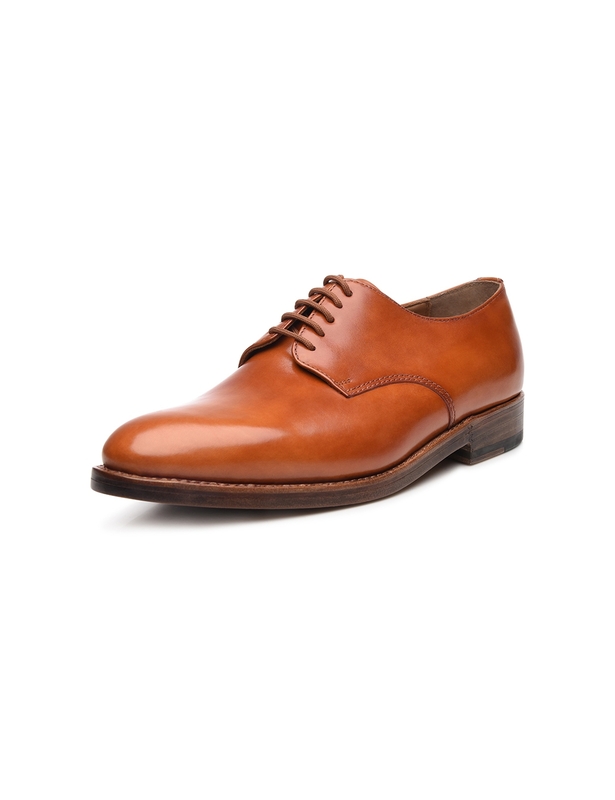 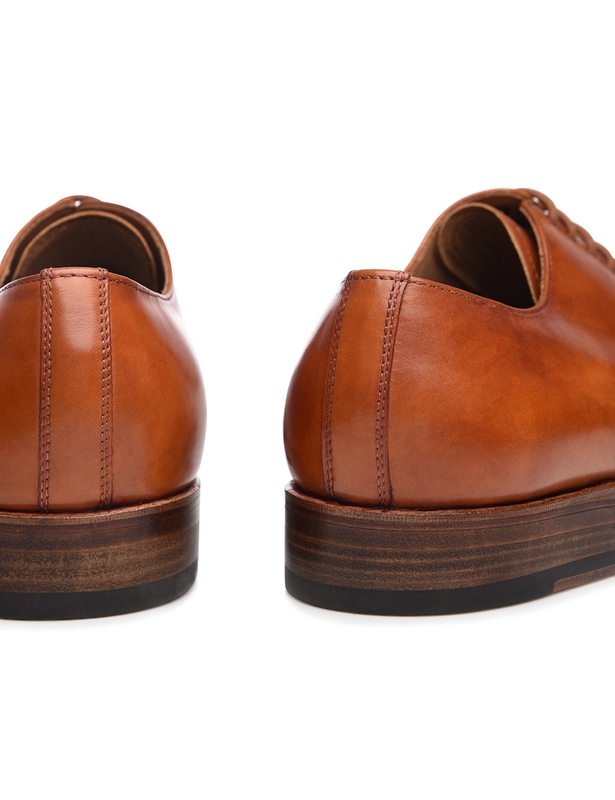 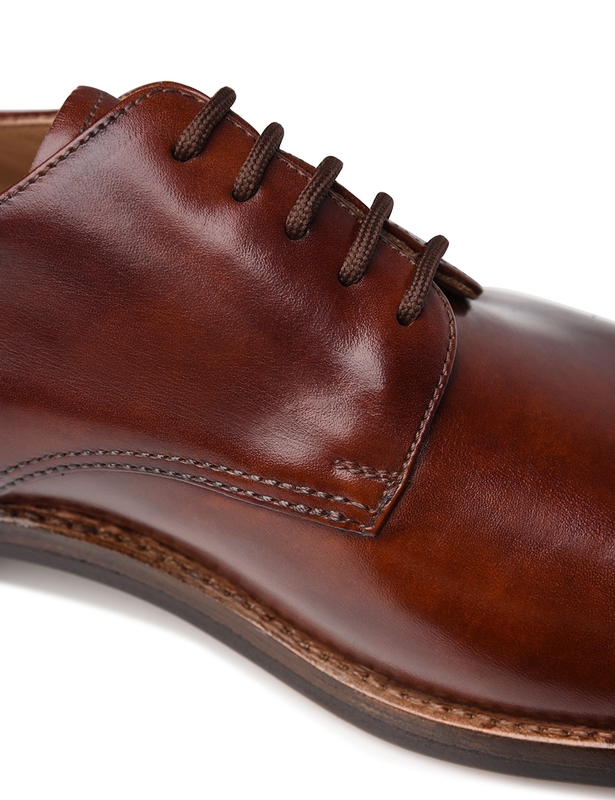 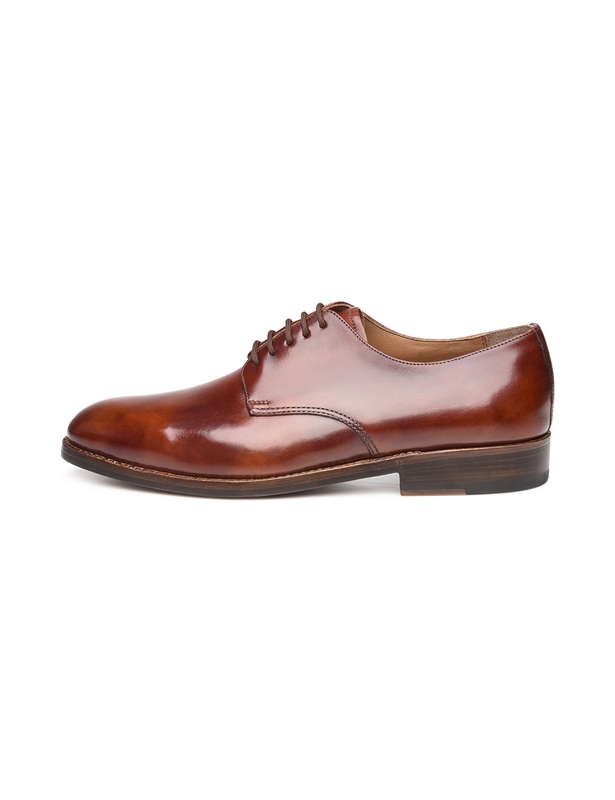 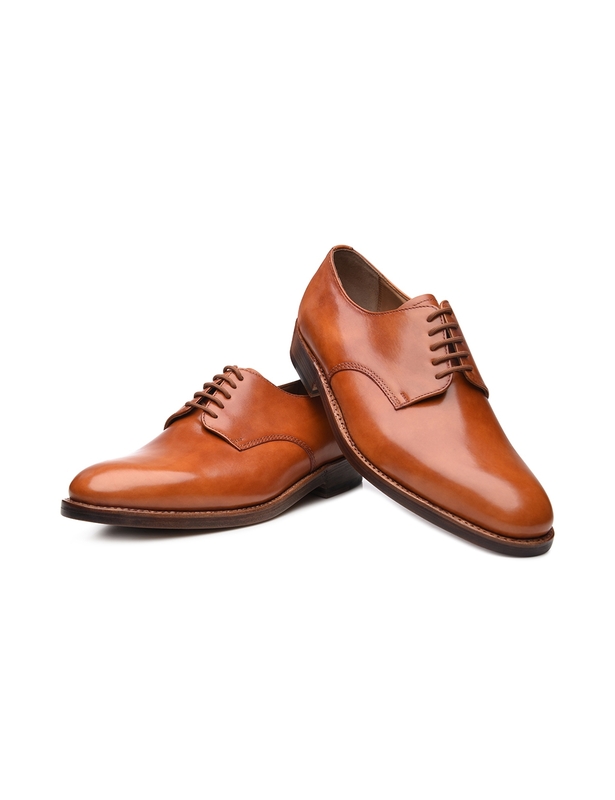 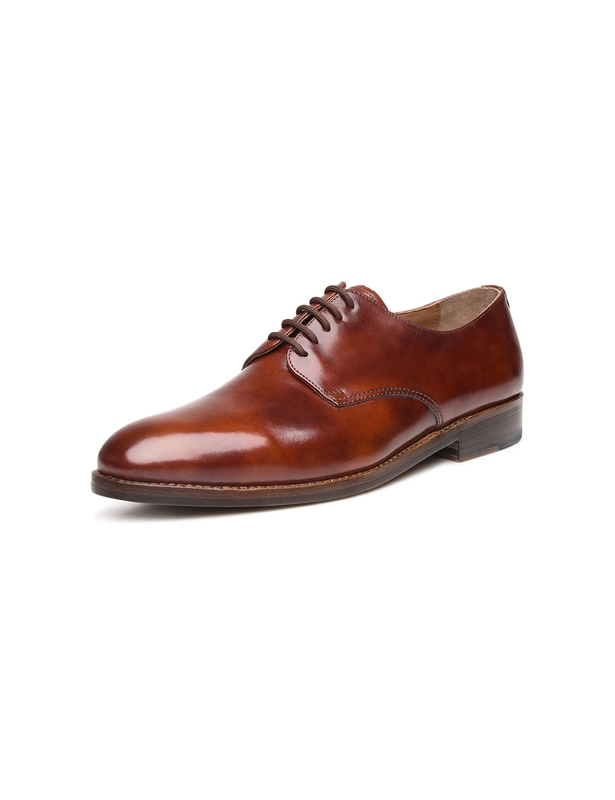 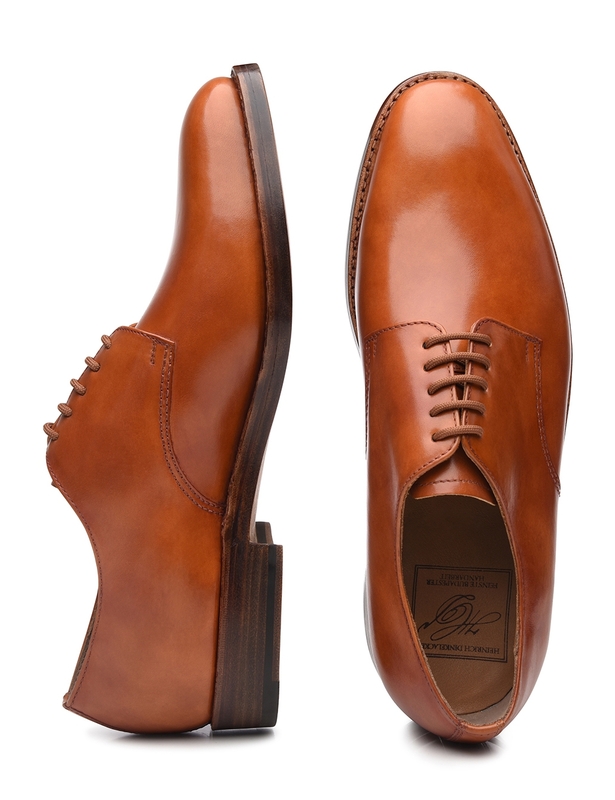 This sewn-welted men's shoe guarantees a stylish appearance both in and outside the office. 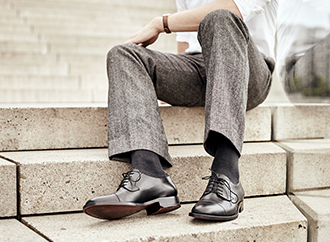 It is particularly versatile thanks to the casual five-eyelet lacing and flexible double sole that offers exceptional comfort. 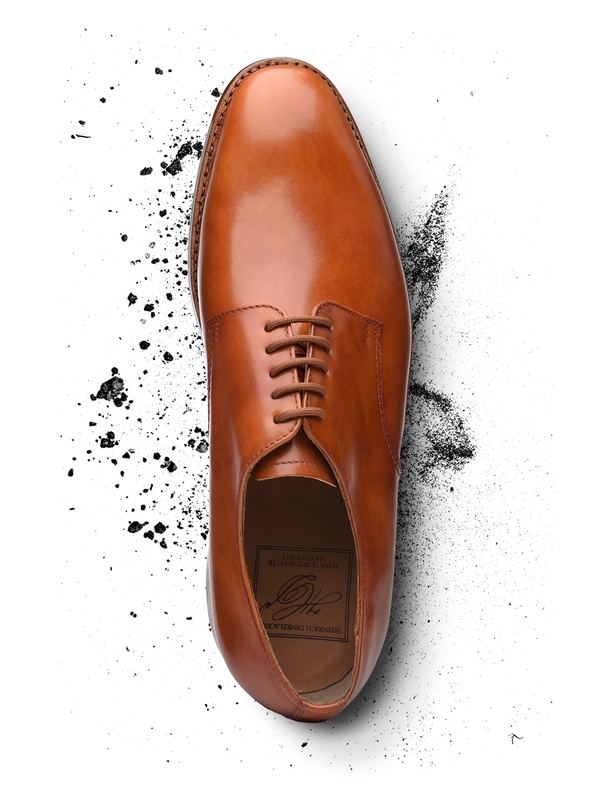 The simple elegance of this men's shoe focuses on the fine Tuscan Calf calfskin, the sight of which only hints at the soft feel of this lace-up shoe that its wearer cannot fail to appreciate. 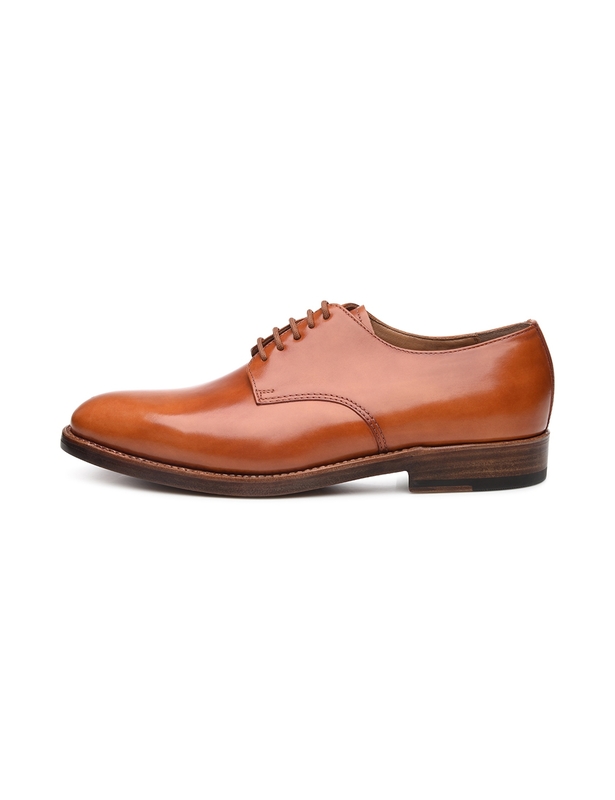 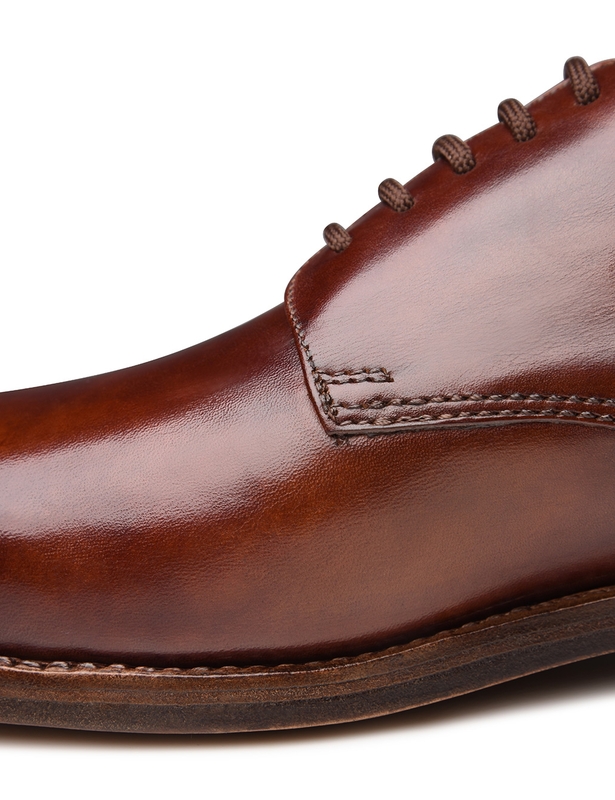 Production on the Luzern last gives this Derby a slightly tapered shape in the front foot area.